The Arte of Glamour is available for purchase through Amazon in paperback and Kindle formats. The Arte of Glamour has a mission: to help you find sustainable wonder in yourself, your spiritual practice and your life. Written with a dry wit and a keen understanding gained from years of working with magical ritual, the salt of the earth suggestions will encourage you to delve deeper into your ritual practice. Filled with tips, tricks, spells, a ritual format and a small book of spirits, The Arte of Glamour insists on beauty as something important in both spirituality and everyday life. Foreword by Gordon White. Some schools of magical thought suggest you use a circle to work with spirits so you can entrap them and bend them to your will. This is an excellent approach if most of the spirits you work with are dangerous gun-toting drug dealers who you owe $10,000. In my daily life, I tend to invite into my house people who have a decent enough reputation in my circles and/or I have reason to trust. I would prefer to offer guests in my home a glass of wine and a nice nibble rather than tying them to a chair and beating them over the head repeatedly. I feel it’s more hospitable. I don’t tend to run with people I can’t trust in my daily life. I don’t really feel the need to go down other-worldly dark alleys for the things I need. Does this mean you should have perfect love and perfect trust for the spirits you work with? I take a middle ground there, too. In my daily life, I tend to have what I consider moderate trust for people, based on my relationship with them. Is the thought always in the back of my mind that each person in my life could turn on me, cut me out of their lives, steal from me, or otherwise act terribly to me for some reason, at some point? Yes. Do I let that thought be any more than something to keep in the back of my head until I have reason to think otherwise? No. I’m cautiously optimistic with other people. I like to think that people I have a relationship with love me and want what’s best for me. But, I’m not so naive or trusting that I think that others don’t have their own thoughts, feelings, and agendas. I treat my relationships with my spirits the same way. My work with spirits, gods, and otherworldly entities is reflective of this ideal. I use a method of creating a circular sacred space, but it’s so that my spirits can more easily manifest themselves. 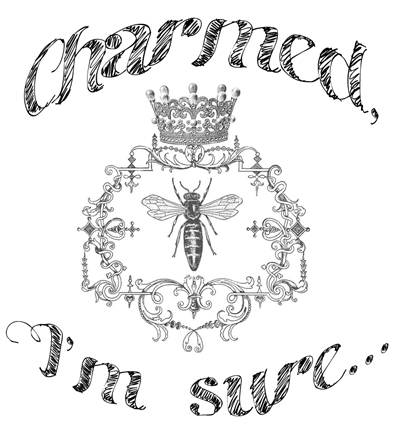 Its purpose is not to entrap them and force my will upon them. 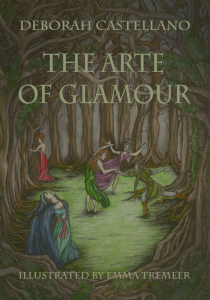 The Arte of Glamour Kindle Edition Is Now Available! I hope you like it and find it useful! Tell me what you think when you get it!